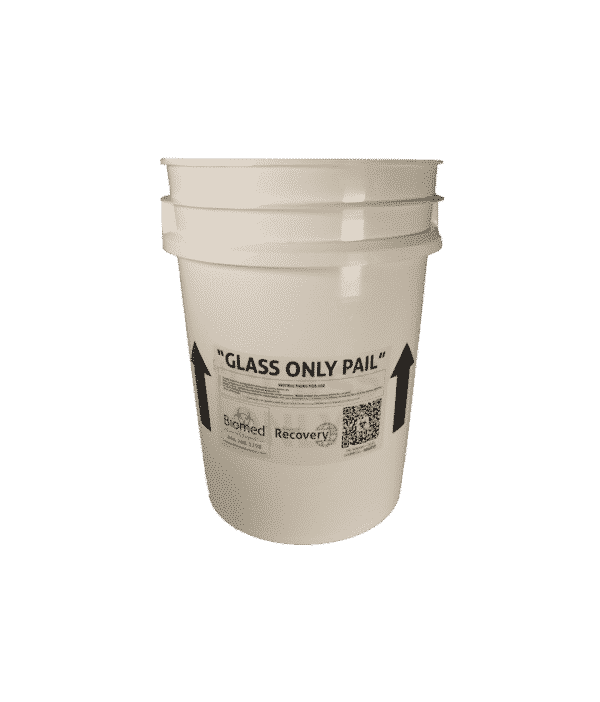 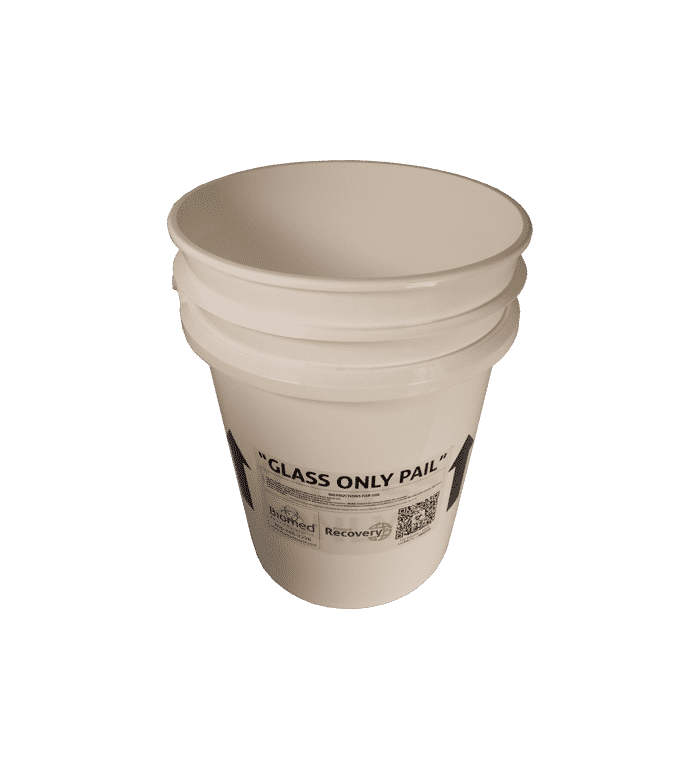 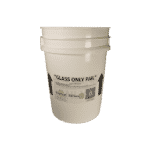 20-Litre White “Glass Only” Pail – Biomed Recovery & Disposal Ltd. The RWGP20 is a white, 20-litre pail suitable for disposing of broken glass, and includes sturdy, integrated handles located above the fill line. 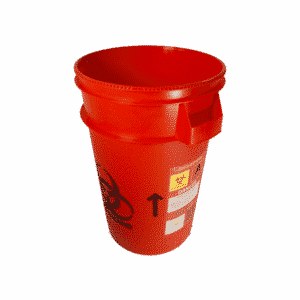 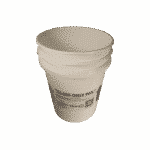 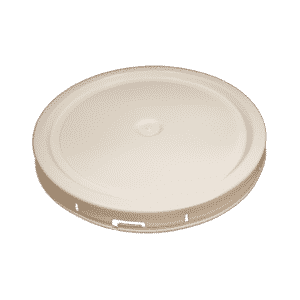 All Recovery™ 20-litre and 22-litre lids and the Recovery™ bucket dolly (RRWD22) will fit this container. 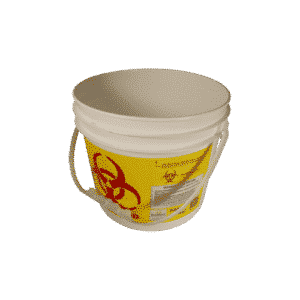 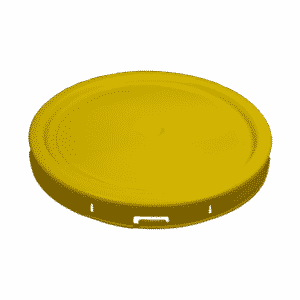 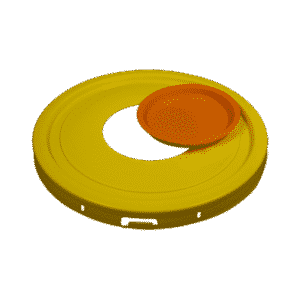 If needed, a biohazard liner (AYBL22) or a yellow “Biohazard Sharps” adhesive label (AYSS1) can be added for specific contents.